Graphite grey pull out kitchen bin. Base mounted for hinged cabinet doors. Lid lifts and remains inside the cabinet as the bin pulls out. No shelf required; the bin incorporates its own runners and platform. Installed height x width x depth: 410 x 242 x 420mm. 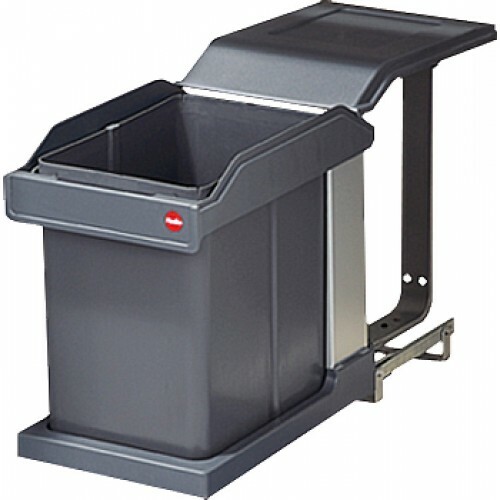 Graphite grey epoxy coated steel bin holder, mounting components and runners. Matching graphite grey plastic bin and lid.